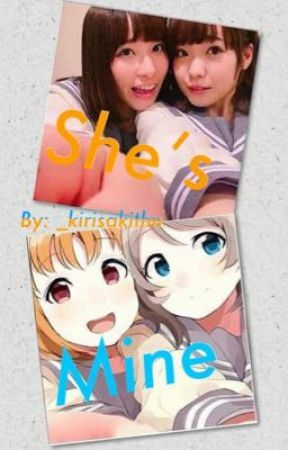 An『AnShuka』story that tackles the different sides of Inami Anju and Saito Shuka as they face day to day struggles in their newly found relationship. Shuka couldn&apos;t quite comprehend what Anchan told her three days ago. She just kept staring into space as if she was still processing what happened. She couldn&apos;t even dare shed a single tear at it. Whenever she sees Anchan, she wants to reach out, she wanted to reach out but couldn&apos;t. It was as if her voice wasn&apos;t audible, it was as if her voice is being drown out. "The livestream ended a few minutes ago. We&apos;re done for the day." Aiai added, Shuka mustered a slight nod before going out of the studio. A few days passed with Shuka being emotionless. Though Anchan already came back to the studio, acting as if nothing happened. Shuka felt she was in a sort of daze for the passed few days, she was her usual self but somehow hollow. The both of them continued to act as if nothing happened. Though their conversations kept getting shorter and shorter. Anchan would ask her something and she would answer and vice versa. They didn&apos;t talk like they used to do. After their livestream for the day, Shuka immediately went out only to be greeted by Yuki. "Mm" a short hum was Shuka&apos;s only reply. "I&apos;ll listen if you want. Come on, I&apos;ll take you home" Yuki said while grabbing Shuka&apos;s wrist, leading her home. Maybe bad luck is just printed in Anchan&apos;s blood, because the moment she decided to go out, she saw Yuki talking with Shuka. She didn&apos;t know why, but she immediately went to hide behind a post not even trying to want to hear what they were talking about. The last thing she knew, she saw Shuka getting dragged by Yuki to who knows where. She didn&apos;t know why, she was just fine with this, just fine with being alone, with being not so close with Shuka, with breaking up. Anchan didn&apos;t know why, but on her way home, it felt as if she was leaving a long trail of dreaded regret. For the entire evening, Yuki was beside Shuka in her room, comforting the girl. Shuka was finally letting her feelings out, a mild mental breakdown in her part as if it just dawned on her that Anchan and her really did break up. "Go Shuka, talk to her" She muttered despite the loud sound of her heart breaking. Shuka didn&apos;t think twice before standing and opening the door but before she went out she looked at Yuki who nodded hesitantly and went ahead. Yuki released a long heavy sigh and got in bed. "Well, it&apos;s not every day you get your heart broken by the girl you love so deeply" Yuki muttered as a tear hit her pillow. Indeed this night has been full of regrets for the two girls. Will it be Shuka&apos;s turn next? Stay tuned! A/N: Okay so as y&apos;all might&apos;ve noticed, somewhere in the last part, I focused on Yuki. I thought you guys should know what her feelings are and this is the result! Next chapter is on its way, look forward to it!